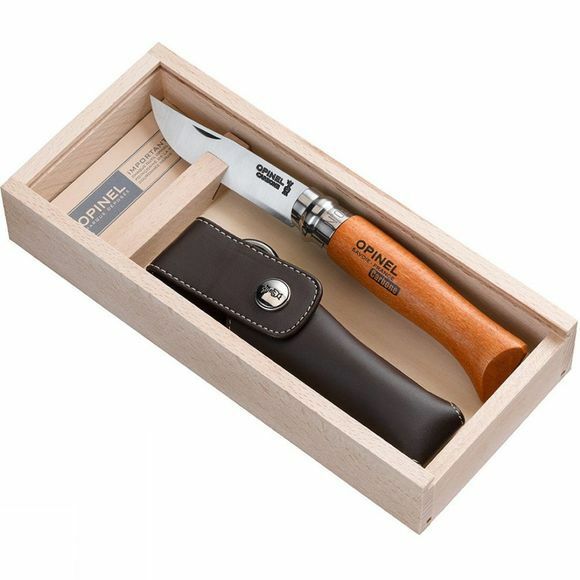 The No.8 Carbon Outdoor Knife Gift Box from Opinel will make a wonderful present for your favourite outdoor bushcraft enthusiast. 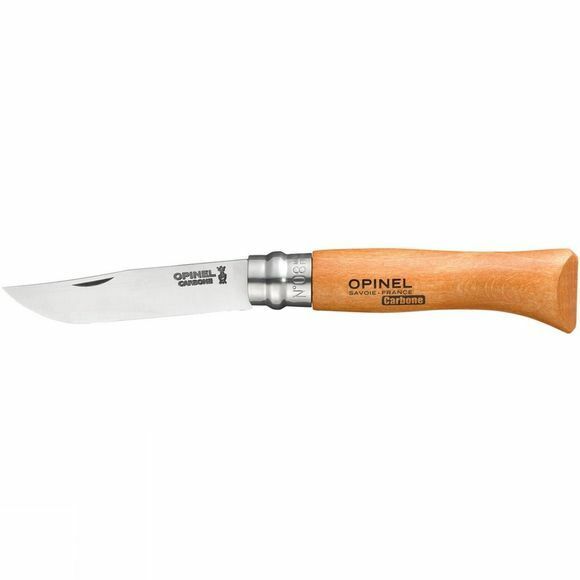 The knife features a carbon steel blade which boasts excellent cutting qualities as well as being easy to sharpen when the time comes. The beech handle has an ergonomic design and is finished with a tinted varnish for long lasting protection. It has a Virobloc double safety ring which locks the blade in position when open and folded for safe cutting and safe transportation. There is also a brown leather sheath supplied for easy carrying, this has a karabiner or belt loop attachment making it a highly versatile pouch.